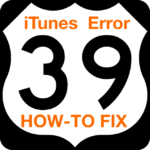 Some users are unable to install iTunes 9.2, receiving a message indicating that an error has occurred and installation could not continue. Delete iTunesX.pkg. 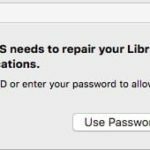 In many cases, this issue can be resolved by navigating to /Library/Receipts/ then deleting the file iTunesX.pkg (note that this is the Library folder at the root level of your hard drive). After deleting this file, retry installation of iTunes 9.2.
fix worked for me after many many days of seeking and pulling my hair out. Good thing I have alot of it! Even geek squad couldn’t figure it out..thanks! had Itunes working great, tried to add an app to my touch, required the update on itunes, did the updated & it took Itunes right off my comp. 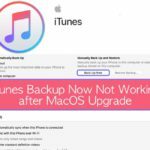 can’t install Itunes now even after all the helps I have found. Mad as hell! need help with this. Any help would be highly appreciated. I am having the same problem as the first person on the forum, I have windows vista home premium and 32-bit operating system. how do i fix the problem?? i have tryed everything… it just dont work on my computer. instalation of itunes is not possible and i get all the time message: A newer version of QuickTime is already installed. 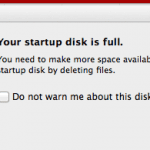 This installation cannot proceed while the newer version of QuickTime is installed. What is problem is that i cannot find that newer version of QuickTime so i can uninstall it. After hours of trying everything and hours on the phone with Apple Support, I tried the Wow64 changing the value to 0, and it worked, was able to install itunes 9.2.1. Thank you so much for this solution, and shame on Apple for not fixing. Question, does the value need to be set back to 1 or is it okay to leave it at 0? 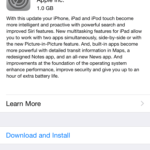 Ok so am experiencing most of the above, can’t update, or remove Itunes from 9.2.0 to 9.2.1. I now can’t sync my calendar with iPhone, and I can locate 2 versions of Itunes.msi which the new Itunes installer refuses to play with. All searches in Apples support pages so far have not been helpful….Any ideas…and maybe from Apple would be greatly appreciated. I keep getting error messages that the update can’t remove old versions, but then I can’t uninstall them either. And I’ve tried removing all the apple, quick time, iTunes, whatever files manually. No dice. I don’t have Vista 64, so the WOW65 fix wasn’t there. Ideas? Thank you thank you…after 5 hours of looking for the answer yours is the one that fixed it. Rob; your solution worked for me after all else had felled and I sure waisted a lot of time looking for a solution ,thanks for the registry tip for windows vista Found this solution and after trying more than I can count it worked for me. Is it 0×00000001 (1) ? by using services.msc or reboot. Hey, I was having the same problem. The windows installer sent me an error message saying that it wasnt properly installed. 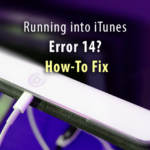 I have probably done absolutely everything in apple support and online forums to try to fix it and it didn’t work. I tried looking for the iTunesX file and actually found a program called iTunes Setup. It literally was the other half of the install that I couldn’t get too thanks to my windows installer. If it works, which it seems that it is, I highly reccommend trying to find this program. I’m on a 32-bit Vista Home Premium. rob- i’m not great with computers…where do you find this registry key?? thanks! Will this solution work for Win XP or just Vista? Found this solution and after trying more than I can count it worked for me. Is it 0x00000001 (1) ? Same here. Running Vista 64 and thought my drive was messed up so I did a clean install. I have had no problems with anything except itunes and Safari. I am getting a message ststing that the Windows Installer could not be accessed. Same thing here James. Let me know if you find a fix. I’ve done everything from a complete uninstall of iTunes, and all apple related software, and clearing all temp files. Not sure what else to do.